10 questions with Ryan Yount – Editor-In-Chief of new digital comics app Stela! I’m Ryan Yount, Editor-in-Chief for Stela. Native Californian. Aries. I’ve been a comics reader since I was young, and I believe in the future of digital, so being a part of launching a brand new digital comic publisher was too good an opportunity to pass up! Convenience (just a click away!) and distribution. As for format and design… in my opinion, digital comics that are made specifically for the digital medium work best. There are not a lot of folks doing it, because it’s a new way to do things. But looking at the original digital comics we’ve commissioned, and how well they read on the phone, it’s worth it. Will digital comics eliminate print comics? Certainly not. I love printed comics and books. But as much as I love print publishing, I don’t see how print comics can possibly breakthrough to massive amounts of new readers. And I think that’s the opportunity for digital comics: the ability to find new, larger audiences. 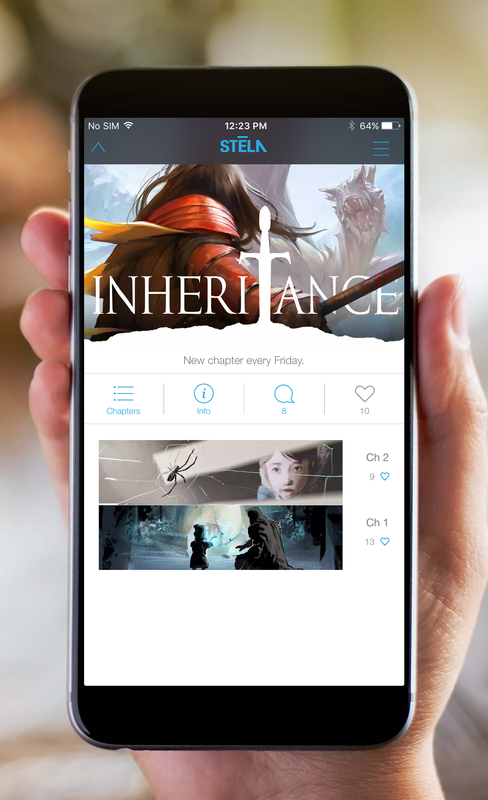 Successful digital comics can find another home in print, whether for fans who want a printed artefact in their collection, or for readers who haven’t yet made the leap into reading on digital devices. At Stela, with all of the creator-owned projects we’re publishing, we take no print rights. So the creators retain those rights, and if they want to print up a collection later on after their run has ended with us, that’s A-OK with us. I’m not a fan of animated (or partially-animated) digital comics. Sound effects and all that. Some are wonderfully done, and stand up well as a kind of interactive experience. Spending so much time in the game industry, I love interactive experiences. But for me, that’s not comics. I think it’s a mistake to invest in adding digital bells and whistles to comics. More comics created specifically for digital. In the case of Stela, that means all of our comics are created for mobile phones. That is our core belief – mobile is the future. The amount of content (news, videos, emails, chats, games, etc.) that is being consumed on phones continues to grow every year. Comics should be a part of that. But we feel, in order to do that, you have to take a mobile-first approach (rather than trying to adapt printed comics). That would be telling! [Laughs] We plan to showcase a number of up-and-coming comics creators in the Stela app. It’s going to be a massive amount of talent, so I’ll just say, watch for it! You can follow us online on Facebook or Twitter.